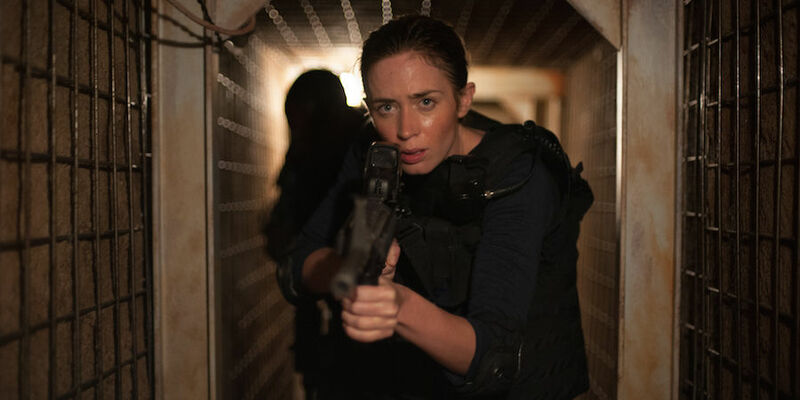 Emily Blunt as idealistic FBI agent, Kate Maser, finds herself enmeshed in the terrifying and brutal escalating drug war along the U.S. border in this tightly wound, hair-trigger of a film from Denis Villeneuve, the director of Prisoners. After a brutal discovery during a tactical raid, Maser is recruited by Matt Graver (Josh Brolin) who extends her the offer of going after the real people responsible for the drug flow and death that seems to be growing on a daily basis between rival dealers as well as those in law enforcement. She eagerly agrees, but quickly finds herself plunged into a world with murky ethics, questionable decisions, and legal violations, all in a move to stem the violence, and control the drug flow. Surrounded by a fantastic cast which includes Victor Garber, Jon Bernthal, and Daniel Kaluuya, Blunt stands out as one of the only females to even appear in the film, suggesting right off the bat, that no matter what her actions, beliefs and motives, she is alone in her thinking, set apart from everyone else around her. But Maser is an excellent tactical officer, smart, trained, professional, and like the viewer she guides into the world, nowhere near ready for what she finds, and what is really going on in the much-touted drug war. Villeneuve quickly proves himself a master of building tension, the border crossing scene is intense, perfectly staged and shot, and the aerial cinematography is just stunning, I found myself getting giddy at the thought of how amazing this film will look on blu-ray in my home theatre. 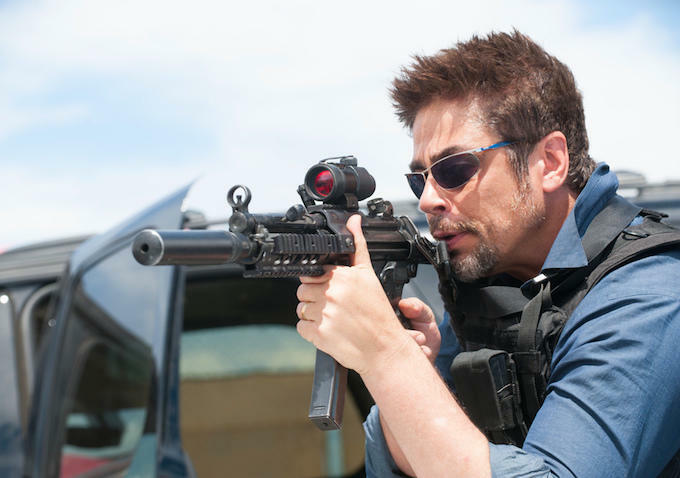 Everything about this film is intense, the opening sequence establishes exactly what you can expect, tense moments, quick and realistic firefights, and the stunning impact of these events on the lives of countless people, from the lowest man in the cartel, or law enforcement, all the way to those at the tops. Every life is touched, changed, and never for the better. I was stunned to see how tensed up I was watching this film, watching events unravel for Maser, watching dark truths be discovered, and Del Toro’s Alejandro was a huge part of that. You just get the sense that he’s aware of everything, he sits so still, and apart from everything else, but he’s not a calm spot in a storm, he’s studying his targets, he knows the threats, and how to handle them. This is one that may not appeal to everyone especially with the storyline and the way everything plays out, but from a film side of things, this one is practically unparalleled, and a fantastic work! Not seen yet but i’ll run for it. After Prisoners and next year Blade Runner 2, Denis Villeneuve is now one of the most powerfull director of our time, for sure.